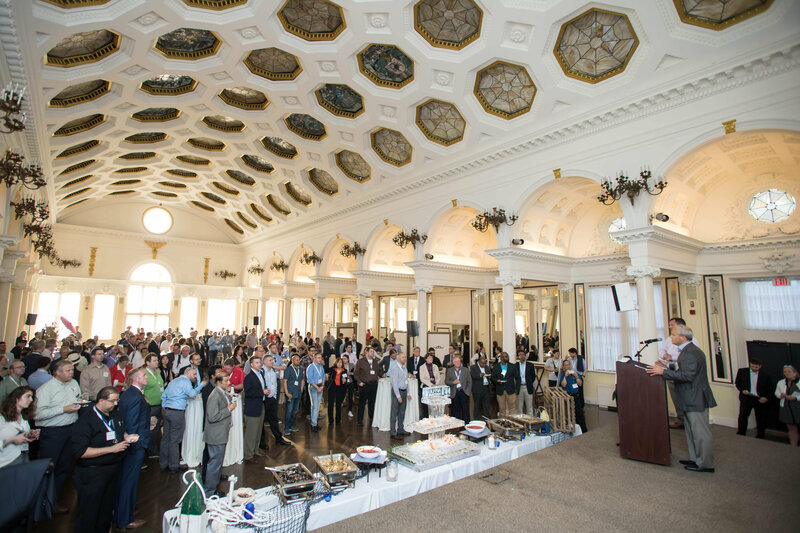 The Saratoga County Prosperity Partnership, the county’s designated economic development agency, hosted the Welcome to Saratoga Reception as part of SEMI ASMC 2017, the world’s leading technical conference for the semiconductor industry. 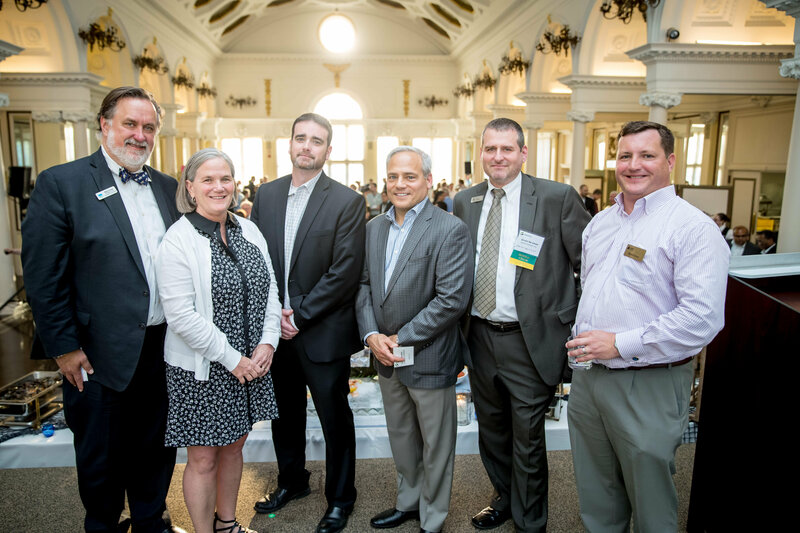 The presenting sponsor of the event was Applied Materials, Regional Sponsor Center for Economic Growth (CEG), and Hospitality Sponsor Mazzone Hospitality. The event was held the evening of Wednesday, May 17 at the Canfield Casino in Saratoga Springs. SEMI ASMC 2017 was held from May 15 through 18, with sessions at the Saratoga City Center. Dr. Thomas Caulfield, senior vice president and general manager of GLOBALFOUNDRIES’ Fab 8 facility in Malta, delivered remarks to the crowd of over 300 decision makers involved in all aspects of semiconductor manufacturing, and the microelectronics supply chain. He was joined by Israel Ne’eman of Applied Materials, Andrew Kennedy of CEG, Saratoga Springs Deputy Mayor Meg Kelly, and Saratoga County Prosperity Partnership President Marty Vanags, among others. ASMC is the leading international technical conference for exploring solutions to improve the collective semiconductor manufacturing expertise. The conference, with technical sponsorship from IEEE EDS and CPMT, provides an unparalleled platform for semiconductor professionals to network and learn the latest information in the practical application of advanced manufacturing strategies and methodologies.